Someone just found me on the internet! 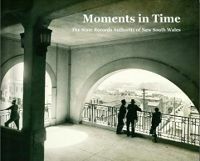 I’m listed in a database called Archives Investigator – the online archival catalogue at State Records NSW. 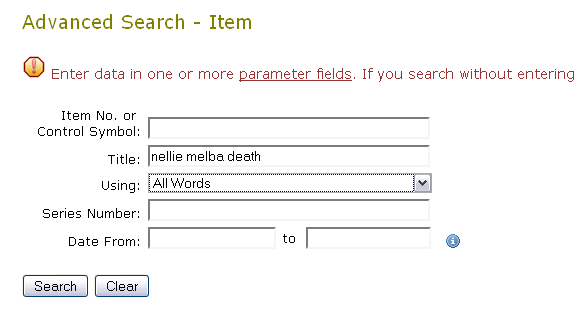 Not all of the 7+ million items stored here have been listed in the system so I feel quite important. I should introduce myself before we move on. I’m a record, or more importantly, an archive. A probate packet to be precise. I am [ahem] almost 80 years old; ‘born’ when the subject of my contents died. As I said, I’m on Facebook Archives Investigator and someone searched for me. There are many types of searches that be done in Archives Investigator – I was found through an Advanced -> Record Item Search. What happens now that I have been found? I’m an ‘item’ in the system and the savvy web surfer who found me wants to know more about me. In fact, he decided he needs to see me. The quick and easy option would be to purchase a copy through the online shopping system but in the end he decided for the ‘try before you buy’ option. This means I’m being pre-ordered. What the heck is a preorder? SRNSW helps you get the most research out of your day by offering a service in which you can pre-order records in advance of your visit. While this service has been in place for a few years, it is a new facility in Archives Investigator. SRNSW is continually working on ‘streamlining’ the pre-order process; the main problem being that not all records are listed in the one system. Other ways to preorder are by using the generic pre-order web form, by telephone (02) 9673 1788 and by email preorder@records.nsw.gov.au. select a date for your visit (at least two working days ahead) and submit. What is the most useful online archival catalogue you have found? Have you used a pre-order system before?